Guitarist Eyal Maoz appeared recently on Shanir Ezra Blumenkranz's Abraxas recording as a part of a dual team of guitarists and with Bryan Beninghoves' Hangmen as a part of another dual team. 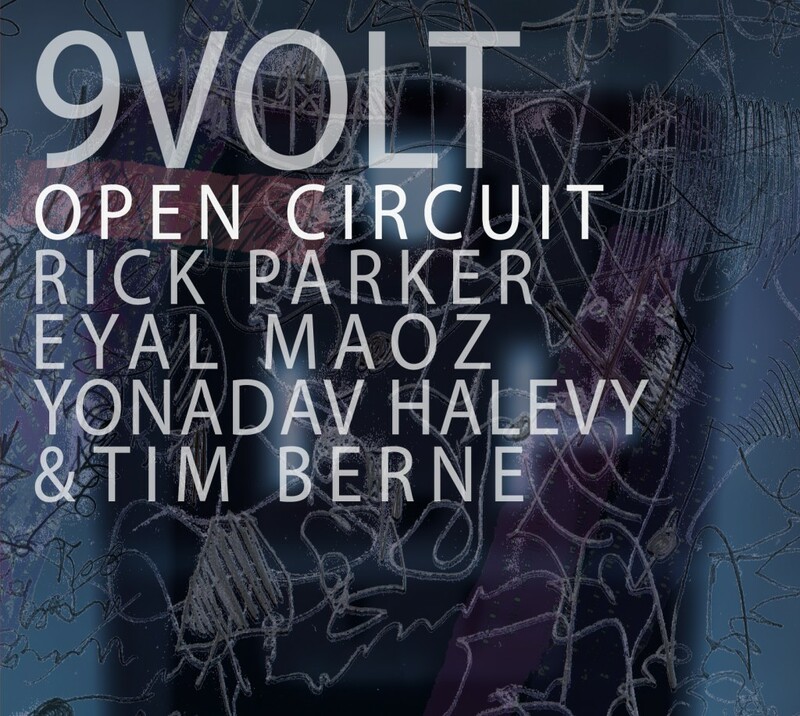 In the trio configuration of 9Volt (or quartet with guest Tim Berne), he is front and center - so to speak - though all three members seem to sit equally in the mix. 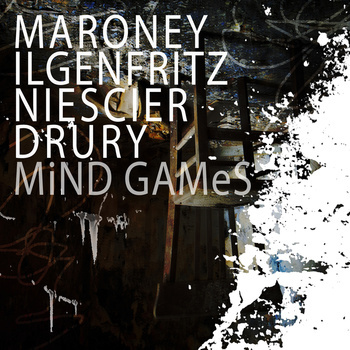 Starting with 'Squeege,' Maoz's guitar is a deep rumble of distorted harmonic motion while trombonist Rick Parker and guest saxophonist Tim Berne's angular lines intertwine. The reedy alto and the rounded tones of the trombone mix delightfully with Parker's additional electronics effects. Drummer Yonadav Halevy is a sympathetic listener and a supportive player throughout. '3 and 2' is an atmospheric number that builds to a colossal climax. Berne again provides accent and spice to the song. 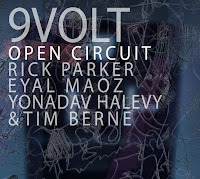 In just two songs, 9Volt shows its versatility and depth. Moving on, 'Yes Your Majesty' showcases Maoz's fragmented skronk and shreds of Parker's trombone lines manipulated via loops and electronic treatments. The result is a dark and nasty improv that lurches along. The other tunes offer differing approaches and perspectives but overall the vibe here is of a cohesive group with a great debut recording. I hope to hear more from them soon. 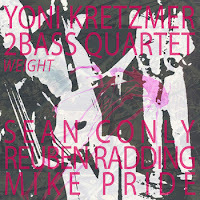 One of OutNow label owners, Yoni Kretzmer, is the tenor sax player in this group, along with bassists Sean Conly and Reuben Redding, and drummer Mike Pride. This free form group presents a captivating set of songs on Weight. 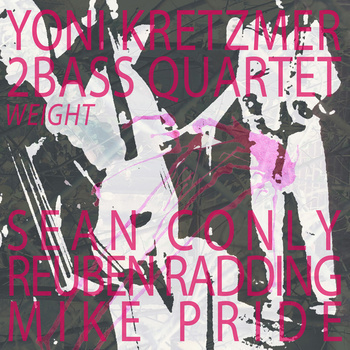 The tandem playing of Conly and Redding is enjoyable, as the two bassists work together to create pulse, texture and melodies. Kretchmer's sax playing erupts from deep within and it's pure and arresting. His split tone climax at the apex of 'Number One' is chilling in intensity and quality. On tunes like 'Giving Tee' the sax is tempered and focused, curving and sinuous lines rude over the rumble if percussion, eventually giving way to the basses, one which goes off into a solo while the other comps along. Towards the end of the song the group pulls out a simple but affecting melody. Hovering in the lower register, all four musicians contribute to the see-sawing lines as the tune draws to a close. 'Again and Again' has an energy and approach that sums up the album. Fierce and unrelenting, a cheek-puffing-eyeball-popping overblown sax treatment over the pulse of the rhythm section then gives way to tender and unexpectedly lyrical passages. 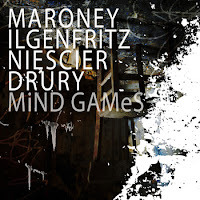 Maroney/Ilgenfritz/Nescier/Drury's album MindGames is a nice collection of improvs and compositions. The opening 'Ledig House' is a collection of related sounds and textures, scrapes, swishes and flutters, but then seques into the playful 'One Off, or Two', in which a whimsical melody shifts subtly around its beat placement and time signiatures. Niescier provides a gentle sax solo, while the rhythm slips around below. Followed by the random scatterings of 'Perplexia', this is obviously the work of inspired and masterful musicians. Each note, whether stricken, blown or conjured in unusual ways, is crisp and clear, precise and thoughtful. The group here is Angelika Niescier on alto saxophone, Denman Maroney on what's called the 'hyper piano', James Ilgenfritz on double bass, and Andrew Drury on drums. They vacillate between atonal textural improvs and melodic forays and then bring both to bear in the 20 minute closer 'Warum Bist Du Gekommen? ', a testament to restraint. Playing inside the piano meshes with sax tones and gentle brushwork, and melodic snippets bend in and out of time and tune, eventually settling into a fragmented and beautiful tune. Duos can be tough. Bass and sax are a tried-and-true pairing, but the strength of any meeting between the two rides on the imagination and rapport of the players, as the limited timbral variety can quickly grow tiresome. 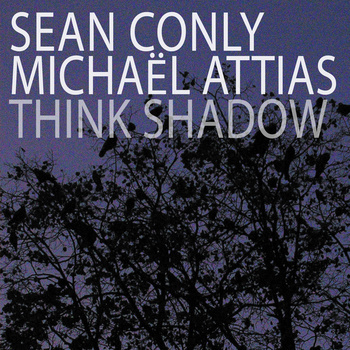 Think Shadow, the duo of alto and baritone saxophonist Michäel Attias and bassist Sean Conly, straddles the line between excitement and drabness. Conly has a flashy, busy pizzicato style which, when first brought out in full force on “Rabid in the Boneyard Blue,” is exhilarating. However, over the course of nearly an hour, the blur of mid-range notes begins to feel a bit numbing. 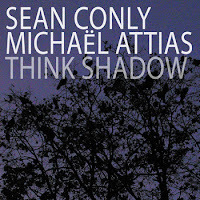 Attias is a worthy adversary too, though he takes a more relaxed approach on Think Shadow than on some of his excellent Clean Feed albums. Sometimes the slow-burners are incredibly effective, such as “Sloe Mink,” but as the album trundles on at the same tempo and dynamic range, I’m left wondering why there can’t be more ear-grabbers like the spiraling, wrenching sax on “Baghdad Bargain.” Think Shadow is pleasant enough, but there are stronger examples out there of what these two are capable of. OutNow recordings can be found on all the digital outlets (check out their site: http://outnowrecordings.com/). Thanks for this. Just discovered Yoni Kretzmer through your superb blog. Glad to see Angelica Niescier getting some attention here. I hadn't heard of her until she played the Ottawa Jazz festival this past summer with her "Sublim" quartet. Her cd with Thomas Morgan and Tyshawn Sorey, "Quite Simply" is well worth a listen.